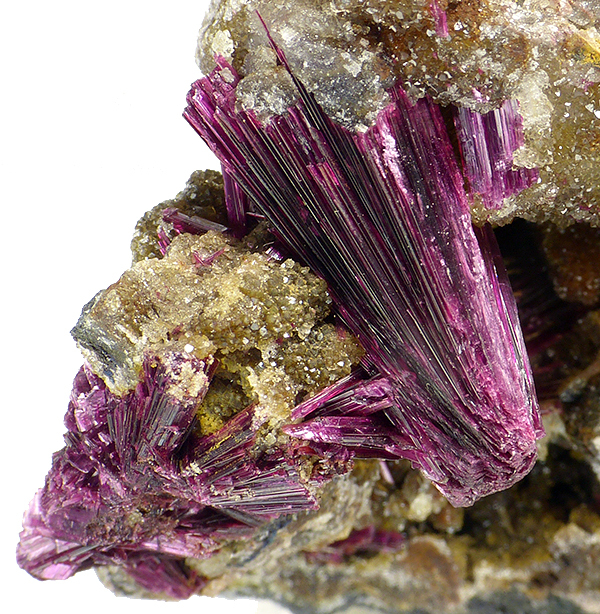 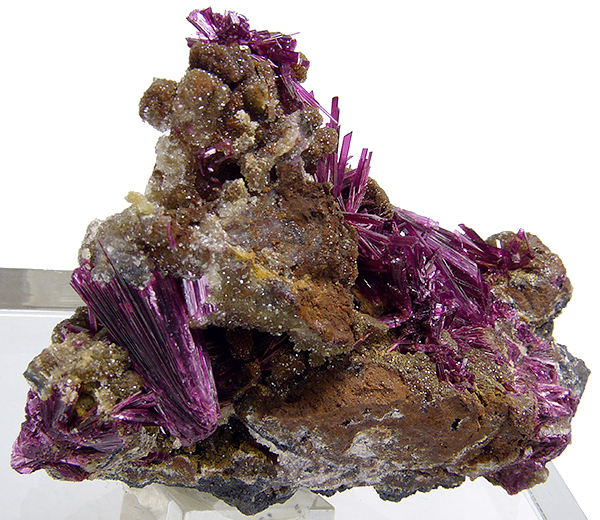 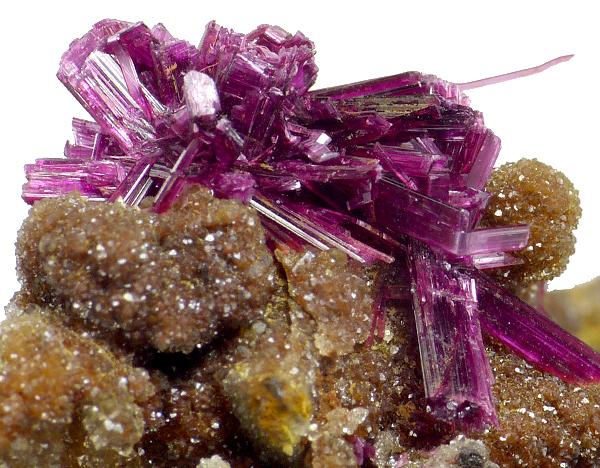 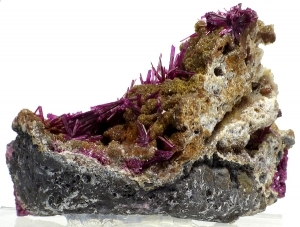 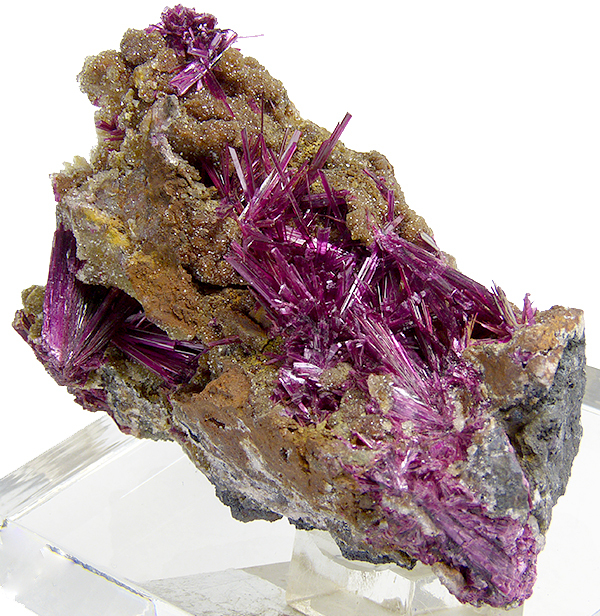 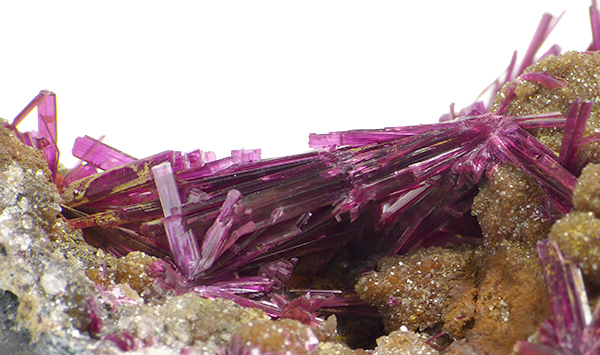 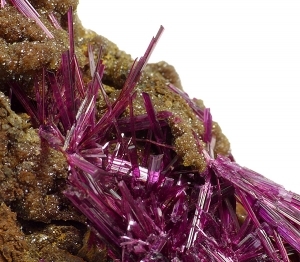 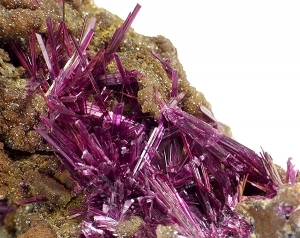 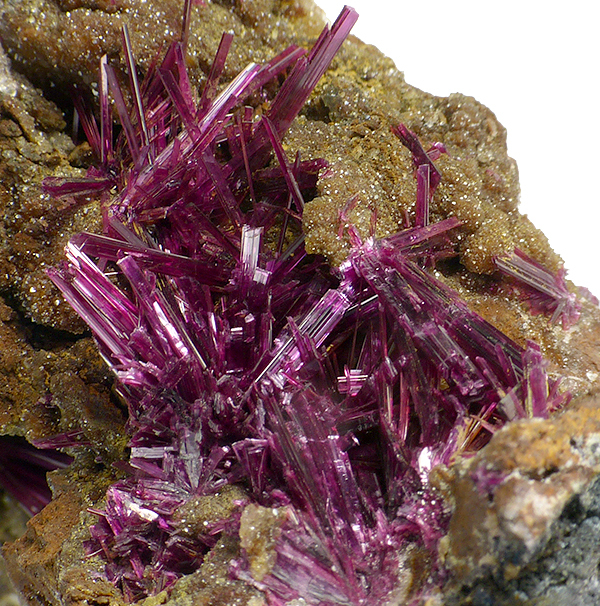 Great specimen of lustrous and sharp, crystals of erythrite, free growing on quartz matrix. Great color. 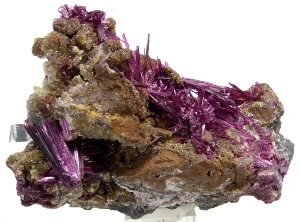 Very aesthetic! Discounted from original price – 520$!